“When the sickle has begun to cut the ears, you will begin to count seven weeks. Then you will celebrate the feast of weeks” (in Hebrew: hag ha-shavuot, cf. Deut 16:9). Seven weeks (and even fifty days, cf. Lev 23:16) after the barley harvest at Pesah, the feast of Shavuot celebrates the end of the wheat harvest (in Hebrew: hag ha-katsir, cf. Ex 23:16). Later, the Exodus from Egypt was grafted onto the agricultural feast of Pesah, and the gift of the Torah onto the agricultural feast of Shavuot: From one harvest to the other, from spring to summer, the time of maturation, the passage from an external, physical liberation to a spiritual liberation. For Jewish tradition sees the gift of the Torah as the goal of the exodus from Egypt: “Let my people go that they may serve me”, as Moses repeats tirelessly to Pharaoh in the Lord’s name (cf. Ex 4:22; 5:1; 7:16.28; 8:16; 9:1.13; 10:3). The service meant here is none other than welcoming the Torah and putting the commandments into practice (Rashi on Ex 3:12). Thus, Pesah cannot go without Shavuot, nor can Shavuot go without Pesah. That is why, in obedience to the scriptural commandment, the days from one feast to the other are counted: it is “the counting of the omer” (“omer” refers to the sheaf, at Pesah the sheaf of barley, and at Shavuot the sheaf of wheat). Moreover, according to the Mishnah, one of the names of Shavuot is “atzeret” (Rosh ha-Shanah 1,2), which can be translated as “conclusion” (of Pesah) (Flavius Josephus, The Antiquities of the Jews III, 252). The agricultural feast of Shavuot became the feast of the gift of the Torah only quite a while after the destruction of the Second Temple. However, Scripture is not lacking in allusions that allow us to assume that already at the time of the Second Temple, the feast of Shavuot was privileged as the time to renew the covenant of Sinai (cf. 2 Chr 14:10-15). First of all, according to Ex 19:1, the theophany at Sinai occurred three months after the Exodus from Egypt, so at the time of Shavuot. On the other hand, the Qumran writings attest that the sect’s most important ceremony marking the entrance into the covenant took place on that day (I QS 1,16-3,12). And according to the Book of Jubilees, the covenant with Noah and that with Abraham were remembered on Shavuot (Book of Jubilees [2nd century BCE], VI, 15-22). Finally, the account of the gift of the Spirit on the day of Shavuot (“Pentecost” in the NT Greek being the equivalent to the Hebrew “Shavuot” in the Septuagint; this word evokes the 50 days that separate Shavuot from Pesah) is clearly inspired by the theophany on Sinai, according to Ex 19-20 and the rabbinic commentaries on it. 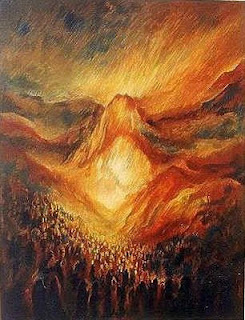 For these commentaries recount that the Word of God at Sinai came forth like fire from God’s mouth and was divided into 70 tongues, since it was meant for all the nations of the world, and each understood it according to their ability (Mekhilta de Rabbi Ishmael on Ex 20:18; Exodus Rabba). How is Shavuot celebrated today? It is good to remember that at the time of the Temple, this feast, the second of the feasts of pilgrimage, was essentially an agricultural celebration. Sheafs from the wheat harvest and bread (cf. 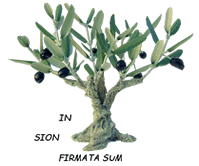 Lev 23:15-17), as well as the first-fruits of the products of the season were brought to the Temple (another name for Shavuot is “yom ha bikurim”, day of the first-fruits, cf. Num 26:28); (cf. Deut 26:1-11; Mishnah Bikutim chapter 3). This custom was abandoned after the destruction of the Second Temple. However, in the non-religious kibbutzim, Shavuot is still celebrated as a beautiful feast of nature. 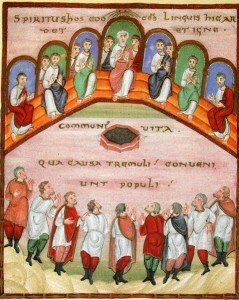 The day’s liturgy includes the reading of the Torah in Ex 19 and 20 and the prophetic reading from Ezekiel 1 – 3:12). Why are Ezekiel’s strange visions read on this day? It is said that on the day of the gift of the Torah, the children of Israel had reached a mystical degree that was worthy of these visions… It is even said that death was not to dominate over them. Unfortunately, this gift was followed by the sin of the golden calf (Ex 32). The book of Ruth is also one of the traditional readings. 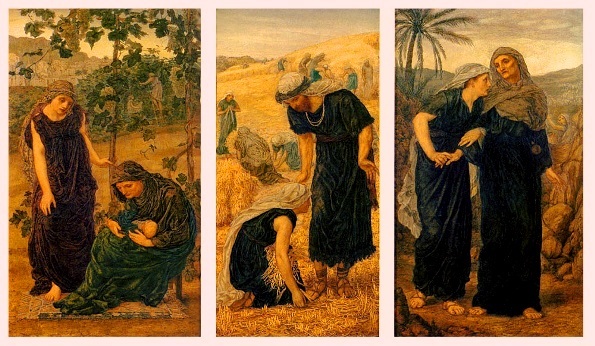 Its story is situated between the barley harvest at Pesah and the wheat harvest at Shavuot (Ruth 1:22; 2:23). Ruth is the symbol of the pagans who adopted the people of Israel as their people, the God of Israel as their God, and who thus entered into the covenant by welcoming the gift of the Torah. Ruth did not know the Torah, but instinctively, she lived what is its essential, namely filial love and kindness. She is the ancestor of David (Ruth 4:18-22), who will be born and die on Shavuot. The night that precedes Shavuot, it is customary to get together in houses or synagogues, and in Jerusalem at the Kotel, the Western Wall, to do “tikun”. “Tikun” means “reparation”, even redemption. In the context of Shavuot, this night is to “repair” the sleep of the children of Israel, who fell asleep when the Torah was given. In a more general sense, the study of the Torah has the power to redeem the world. One way of doing this study consists in using the “necklace” method. Verses are taken from the three large parts of Scripture (Torah, Prophets, Writings); these verses are like pearls, and with the help of a theme that makes their unity, they are strung together like a necklace. Thus, the unity of the Scriptures is shown, their unanimity in proclaiming this or that truth which is affirmed in Scripture as a whole. This is the method Jesus used with the disciples of Emmaus. In this way, Jesus teaches them that it is not possible to enter into glory without passing through suffering (Lk 24:27 and 44-47). When on the day of Pentecost we are renewed as Christians by the gift of the Spirit, we can feel close to our brothers and sisters in the Jewish people, and we can note that it is no coincidence if the Spirit, the fruit of Jesus’ pascal mystery, was poured forth upon all flesh, starting with the small group of disciples who were gathered together with Mary on Mount Zion (the tradition of the Cenacle on Mount Zion goes back to the 4th – 5th century CE). Let us remember: the Torah will go forth from Zion and the Word of the Lord from Jerusalem (Isa 2:2-6). From Mount Sinai to Mount Zion, one goes from the particular covenant with Israel to the covenant’s being opened up to the Nations. These two mountains in no way exclude one another; rather, they give support to one another; and they dialogue with one another in order to make manifest the oneness of God’s plan, which includes Israel and the Nations.